Despite evidence that modern day is the most peaceful time in human history, there can still be a feeling of insecurity when it comes to personal safety. Whether you’re a woman who goes on long runs alone or a parent concerned for your family’s protection within your home, having an added measure of security can, at the very least, put your mind at ease. Here’s some options of non-lethal weapons that can come to your defense should you ever need it. Pepper spray is both efficient and mobile, making it perfect for storing in your car or carrying with you on a late-night walk. While not lethal, the spray causes extreme irritation of the eyes and nose, violent coughing and temporary blindness, giving you plenty of time to escape an attacker. It’s light, cheap and easy to use, making it the ideal self-defense tool. 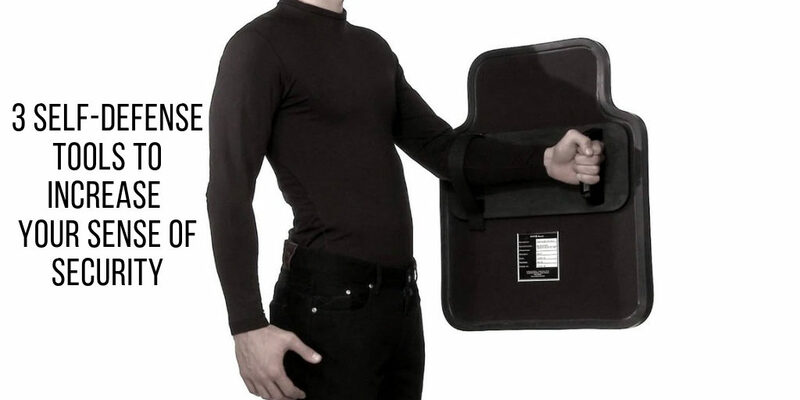 Believe it or not, you can get your own tactical ballistic shield. These are available for personal use and are bulletproof, made specifically to protect you against an armed intruder. If you’re not fond of carrying a defense weapon that requires a reactive attack, this is a great option that optimizes your safety. Like pepper spray, a stun gun is small for easy carrying and storing, but without the uncertainty of needing to aim at a specific target. Unlike a taser, stun guns are designed for close-proximity attacks, requiring direct contact with the attacker. This is a great tool for scaring off a potential threat due to the loud crackling sound emitted from the activation of volts. Should that not work, the prongs, which can penetrate clothing, will emit an electric shock that will knock down anyone and give you time to get away. Even if you live in a safe neighborhood, it never hurts to have that added sense of security. Hopefully, you’ll never need to use it, but you’ll be grateful you had it should the occasion arise.